Tiny Bag Co - All About Tanya! I absolutely adore seeing your creations and what you've made from my patterns! When I do, I just have to share them with you! 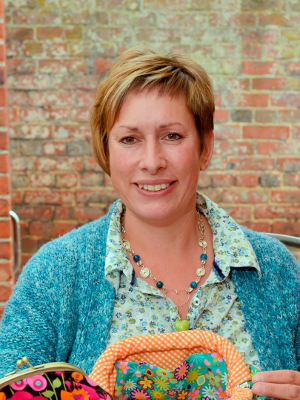 Today I'm interviewing Tanya from the Tiny Bag company, based at The Purse Works! I live in a manic household with my husband and three mad children, they definitely keep me on my toes lol. My love for sewing started after my daughter was born, couldn't sew for toffee before that lol. She was growing so quick, I found some fabric and self taught myself to sew. Absolutely hated it when I was at school. I progressed into bag making and love it. I love your companion carpet bag pattern, it is one of my favourites. 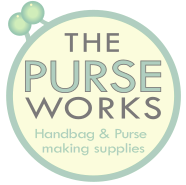 I got so fed up of not being able to source supplies that I set up my own on-line bag/pursemaking supplies site www.thepurseworks.co.uk. It is hard work, but I do enjoy it. The funniest thing is it is set up in my bedroom in what was my wardrobe, but is now a sewing cupboard and supplies store cupboard. How could I not interview Tanya after that email?! Could you tell us a little about yourself, do you have any formal training? How did you learn to sew? Do you have any spare time? I am a busy mother of three, 2 boys and a girl. I first started sewing after our daughter was born. She was growing so fast I thought I would have a go at making some clothes for her. After a few months of this being relatively successful I wanted to make something for myself, so I made my first purse. I was instantly hooked and after making several purses wanted something a little more challenging so tried my hand at a bag. The more technical nature of the bags, and getting to choose the different combinations of fabrics, handles and hardware was something I really enjoyed, the way the same pattern can look so different with these different combinations. 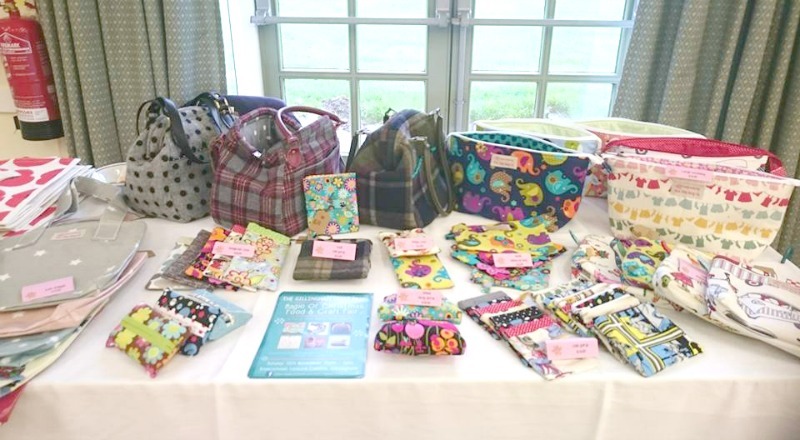 I enjoyed making the bags so much that I decided to have a go at selling some at the local craft markets, this gave me an excuse to make more bags and purses as there is only so many you can make for yourself! I haven’t had any real formal sewing training bar a couple of courses at the local sewing centre. Most of my learning has been through a lot of trial and error and reading books with some advice from my mother and mother-in-law in the early days. If something goes awry whilst I am making something my engineer husband can usually apply his analytical skills to tell me what went wrong and how to correct it! After doing this for a couple of years I realised that I was buying a lot of supplies so that I could have a wide variety of looks to my bags, this was when I decided to start The Purse Works web store and sell the products that I was using. What machine(s) do you use to create your bags and what would you recommend to someone who wants to start sewing bags? When I first started sewing I was using my husband’s, grans, Bernina machine from the 1960’s. Although quite old this machine was great to learn on, not to complicated and solid. When the time came to return the Bernina I had to buy my own machine, and due to limited funds opted for something low-mid range. This was not the best idea as it led to untold distress when it would not perform as I wanted it to. I would always recommend buying the best that you can afford. It is important to remember that many parts of a bag require sewing through a lot of layers, and although most machines will be ok most of the way around, they will struggle when you come to thick seams or straps. 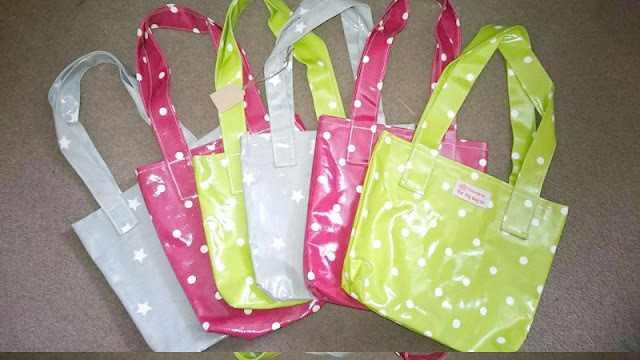 Do you have any tips for someone who wants to set up their own business selling their handcrafted bags? Persevere! If you are just selling your bags to fund a hobby it may not be that important how many you sell or if you even make a profit on each bag as long as you cover your costs, but if you want to make more of a full time job from it there are a few things to get right. The main problem I had when I first started selling at craft fairs was finding out what items to sell at which events. 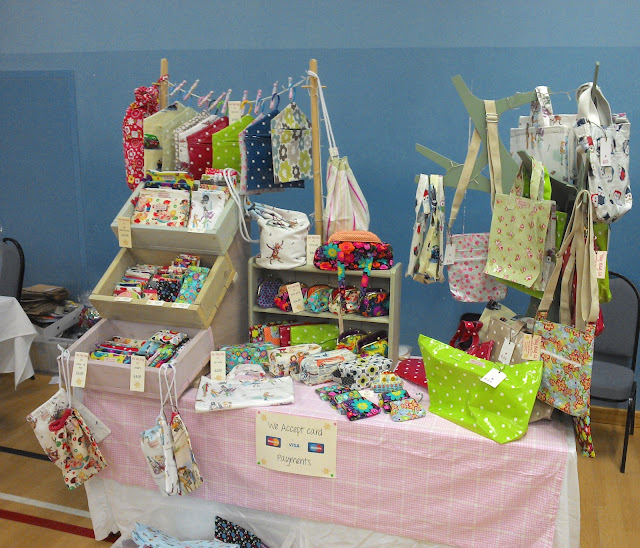 If you go to small local events you may find that you only make a few sales of your cheaper items as people just tend to pop in and have a look around as they are passing, but if you attend larger craft markets and country fairs people have typically made and effort to travel there because they specifically want to look at, and buy, handmade items. I would also say pay as much attention to quality as possible. People will scrutinise your products far harder than anything that they buy on the high street because typically a handmade bag will cost more, yet many people don’t differentiate between the effort that goes into sewing a one off handmade item compared to mass produced factory items with materials bought in bulk. The best part of my job is the flexibility I have working from home. This means that I can always be around for the children before and after school or when they need me. Oddly enough working from home is also the worst part of my job! Not being fortunate enough to have a dedicated sewing room (yet!) means that I have to tidy all of my work away at the end of each day which can be quite disruptive if I am working on a larger project. There isn't really anything I wish I had known before I started. I have found that I have to work longer hours than I first anticipated, which I don’t mind really, it comes as par of the course. When I started out first I thought I would be more established by now, it has been long and hard but we are getting there. You don’t realise how things you don’t expect can set you back, but you just have to pick yourself up and carry on. I would quite like to have my own bricks and mortar shop to compliment my online store; a place where I could interact with my customers and offer advice and courses. I would also like to learn a lot more about bag design to be able to produce some of my own designs. Tanya sells her Companion Carpet Bags on her facebook page, or you can contact her directly through The Purse Works website. Prices start from £55 for the carpet bags, and the ones I've featured today are all made from wool! Thanks for sharing with us Tanya! If you want to make your own Companion Carpet Bag, you can find the pattern on my website. If you're someone who sews to sell, I'd love to hear from you, just send me an email through my contact form.